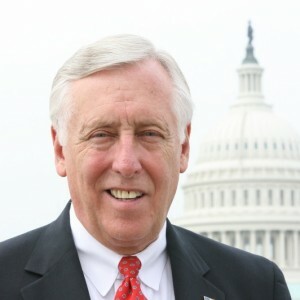 House Minority Whip Steny H. Hoyer is the senior member of the Maryland Democratic House Delegation and has represented Maryland’s Fifth Congressional District since 1981. Hoyer served as the House Majority Leader from 2007-2011. As House Democratic Whip for the 112th Congress, Congressman Hoyer is the second-ranking member of the House Democratic Leadership. He is charged with mobilizing the party vote on important legislation, acting as a liaison between Members and the Democratic Leadership, and coordinating strategy within the Caucus. He also plays a key role in shaping House Democrats’ legislative priorities and in delivering the Democratic message.